What to do in February will very much depend on weather conditions where you live, but here are a number of jobs which you can be thinking about carrying out this month. This is a great time to carry out all those general maintenance jobs that need doing – like cleaning paving and getting rid of slippery moss and algae (as long as frost isn’t forecast or you could go flying). 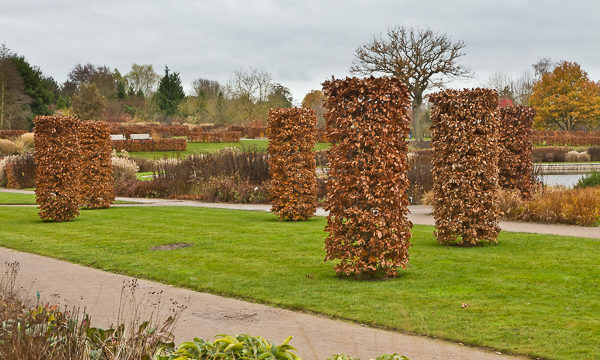 Continue to plant bare-root and root-ball hedging plants and trees until the end of March. Check on any recently planted trees to make sure they are still firmly staked and haven’t become loose in the ground. In mild areas start pruning roses, but keep an eye on the forecast – you don’t want to encourage new growth if it will be damaged by frost. Tie in climbing and rambling roses so the stems are as near to horizontal as possible. 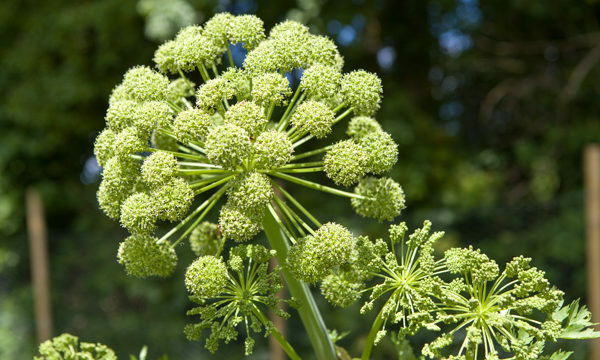 This restricts the sap flow and encourages more side shoots to form and therefore more flowers. This is also a good time to plant new (bare root) roses. 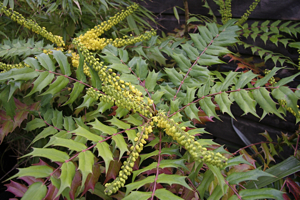 Prune Mahonia japonica and Mahonia x media varieties once flowering is finished by removing top rosette of flowers from leggy stems. 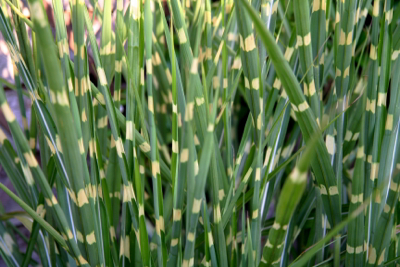 Overlong shoots can also be cut at this time of year. Prune deciduous Berberis and Cotoneaster shrubs if needed. Group 3 Clematis should be hard pruned in February. 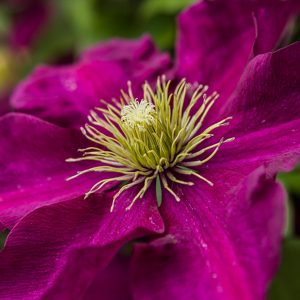 This group consists of Clematis viticella types, and all late-flowering species that flower after July on the current season’s growth. Cut back to about knee height to where strong new leaf buds appear just above the base of the previous season’s growth. 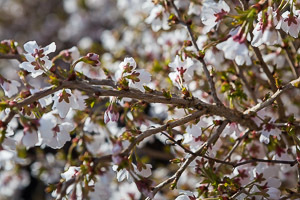 Pruning hard will promote fresh new growth and flowering at eye level. 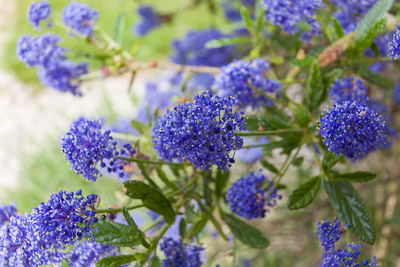 Make sure you know which varieties you are growing before you get carried away with the secateurs! Feed after pruning with a slow-release fertiliser. 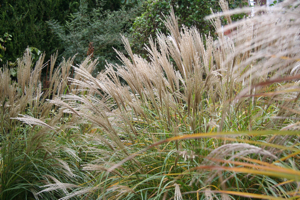 Cut down deciduous ornamental grasses such as Miscanthus. They simply need shearing down to the ground where you should see new growth appearing already. 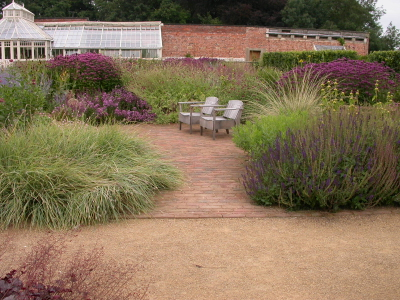 Now is also the time to cut back any herbaceous perennials that were left standing for winter stems and seed head interest. If you want to help insects overwintering, just leave the old stems and stalks in a pile somewhere for a few more weeks rather than destroying them. If you have deciduous container plants which have outgrown their pots or need a bit of TLC, late winter is the best time to re-pot them (while they are still dormant). Plant with fresh compost in slightly larger pots than they are currently in. Top-dress other container plants with fresh compost. Pot up stored Dahlia tubers and Lily bulbs over the next month or two, and keep them in the greenhouse until the weather warms up. 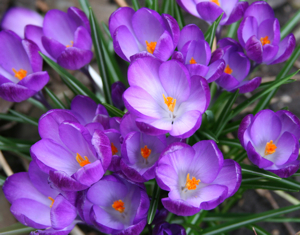 Keep a record of bulbs as they appear, so you know where the gaps are and where you will have space to add to in the autumn. Now is the time to clear and mulch areas where bulbs have been planted so that they can come up undisturbed.